TERRE ROSE is a singular pink brown inspired by the colours of nature. 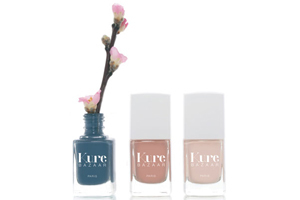 Made with wood pulp, wheat, cotton, potatoes and corn, this Kure Bazaar nail lacquer preserves the vitality of nails respecting their natural cycle of regeneration. Detoxify your nails with Terre Rose by Kure Bazaar !